it is Singapore's first toe in the water of driverless cars. 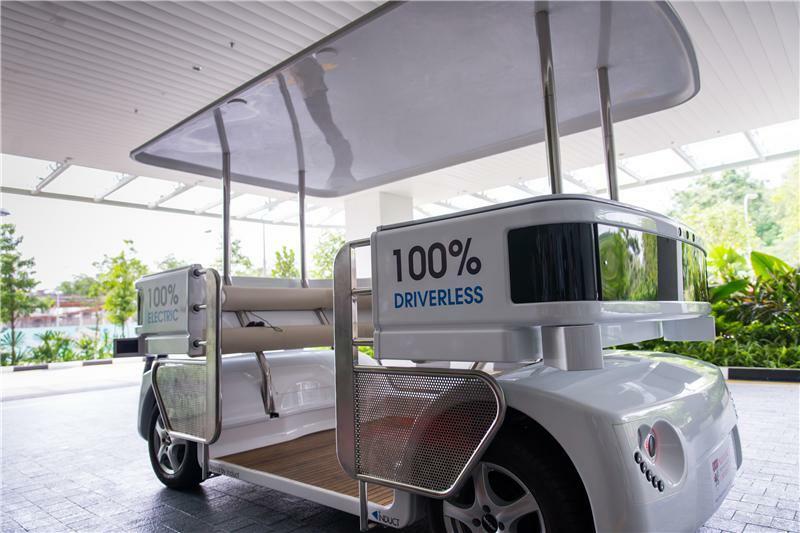 "The Energy Research Institute at NTU will test and optimize Induct’s :”NAVIA” electric shuttle to enable it to intermingle safely with traffic in Singapore. NAVIA can carry eight passengers and has a maximum speed of 20.1 km/h." That does look like the start of a genuine mass transit system, particularly since (A) Singapore has a relatively small area and (B) they already rigidly control the number of cars by limiting (& selling) licences so they can ensure congestion isn't a problem. "The bottleneck in automated driving will be getting governments to make it road legal. Like the British government in the 1890s which passed a law that cars could only be driven with a man with a red flag walking in front. Unsurprising that Singapore would be in the forefront here." So having this country, formerly of the 3rd world but consistently an "early adopter" of technology, making it road legal is a significant step in the worldwide adoption of this new technology.